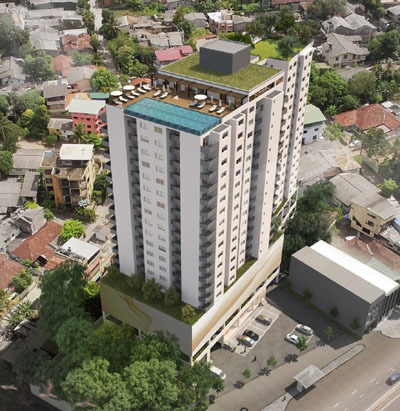 Fairway Holdings launched its latest apartment project, ‘Latitude by Fairway,’ on 26 January. Overlooking High Level Road in Kirulapone, the Latitude by Fairway offers a group of 120 uniquely crafted home apartments in one of the best locations in the heart of the Colombo metropolis. While 15 floors will house the two and three-bedroom residential apartments, the first five floors will consist of parking space for homeowners including a fully fledged supermarket on the ground level. The complex will offer occupants a state-of-the-art gymnasium, rooftop swimming pool, clubhouse, poolside lounge and BBQ terrace. The anticipated date of completion for Latitude by Fairway will be at end-2019.